The leading international supplier trade fair of the food and beverage industry is continuing to write its success story. After already registering a growth in exhibition space and a two-digit increase in the number of exhibitors (+13 percent) in the run-up to the event, Anuga FoodTec 2018 was also able to achieve a significant rise in the number of visitors: More than 50,000 experts from the food industry informed themselves about the innovations and further developments of the supplier industry from 20 to 23 March. Hence, the number of visitors increased by just under 11 percent in comparison to the previous event. Anuga FoodTec also further increased its level of internationality too. 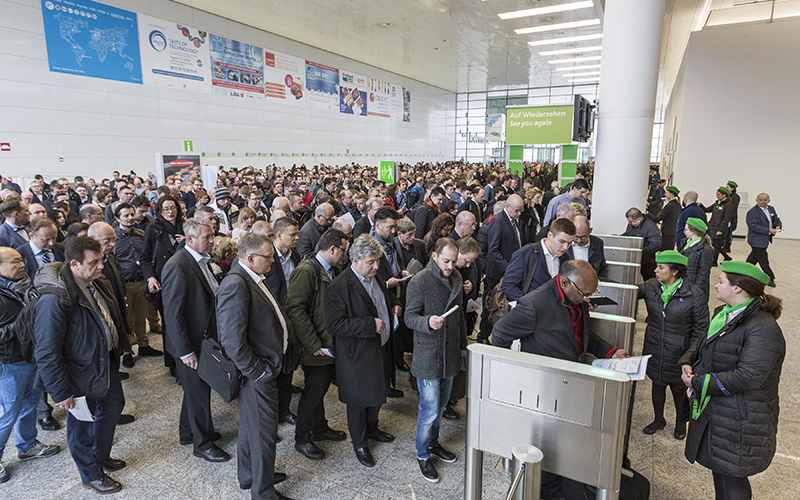 Visitors from 152 countries (+15 countries in comparison to the previous event) impressively underpin its position as the leading international supplier fair for the food and beverage industry.The specialised programme organised by the DLG (German Agricultural Society) which included numerous conferences, guided tours and lectures, perfectly enhanced Anuga FoodTec 2018. The organiser of Anuga FoodTec is Koelnmesse. The professional and industry sponsor of Anuga FoodTec is the DLG. ONE FOR ALL. ALL IN ONE. Once again this year the visitors of Anuga FoodTec experienced the entire production cycle and in the course of which were able to experience live both individual solutions as well as holistic, cross-process concepts across all production stages and food industries. In all five exhibition segments – Food Packaging, Safety & Analytics, Food Processing, Food Ingredients as well as Services & Solutions – the companies presented a cross-industry and cross-production range of exhibition offers. The key topic resource efficiency was one of the omnipresent top themes. From Lotus effect packing that reduces the loss of foodstuffs, to saving raw materials such as water or energy in the production process for example, through to production lines with modular parts for individual products: Anuga FoodTec was once again the innovation hub of the supplier industry. The large variety of offers and impressive exhibitor presences attracted the top decision-makers to Cologne. The exhibitors were impressed by the high quality and professionalism as well as by the internationality of the trade visitors and reported about very good discussions with top-ranking decision-makers. All of the leading food producers worldwide came to Anuga FoodTec. The product show at Anuga FoodTec was perfectly enhanced by a comprehensive event and congress programme, which was organised by the DLG. All of the guided tours were fully booked. The Speakers Corner and the forums also met with high interest among the visitors. Furthermore, the opening conference on the first day of the trade fair, which focused on the leading theme resource efficiency – the opportunities and risks for the food and beverage industry – celebrated a successful premiere. The next Anuga FoodTec will take place from 23 to 26 March 2021 in Cologne.